The IRS’s online search tool, Exempt Organizations (EO) Select Check, can help you more easily find out whether an organization is eligible to receive tax-deductible charitable contributions. You can access EO Select Check at http://bit.ly/2gFacut Information about organizations eligible to receive deductible contributions is updated monthly. 2. 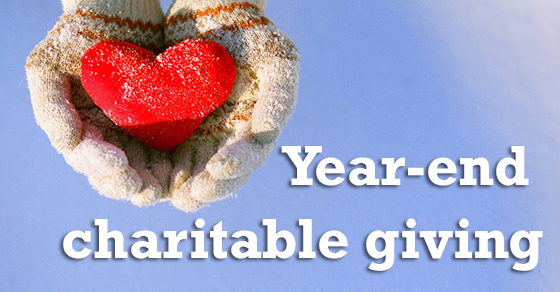 If the standard deduction is raised significantly and many itemized deductions are eliminated or reduced, then it may not make sense for you to itemize deductions in 2018, in which case you wouldn’t benefit from charitable donation deduction next year.